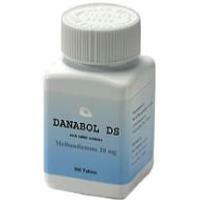 View cart “Danabol DS by Body Research (Blue Hearts) 10mg x 500 tablets” has been added to your cart. An effective daily dose for athletes is around 15-60 mg/day. The dosage of anabol taken by the athlete should always be coordinated with his individual goals. 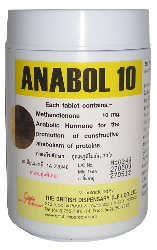 Steroid nov-ices do not need more than 15-40 mg of Dianabol per day since this dose is sufficient to achieve exceptional results over a period of 8-10 weeks. 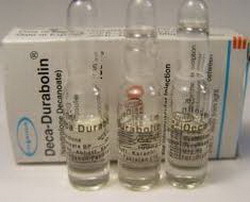 When the effect begins to slow down in this group after about eight weeks and the athlete wants to continue his treatment, the dosage of Dianabol should not be increased but an injectable steroid such as Deca-Durabolin in a dosage of 200 mg/week or Primobolan in a dosage of 200 mg/week should be used in addition to the Dianabol dose; or he may switch to one of the two above-mentioned compounds. 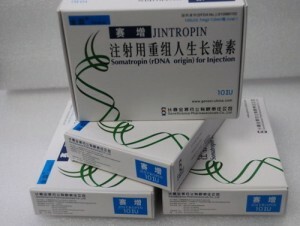 The use of testosterone is not recommended at this stage as the athlete should leave some free play for later. For those either impatient or more advanced, a stack of Dianabol 20-30 mg/day and Deca-Durabolin 200-400 mg/day achieves miracles. 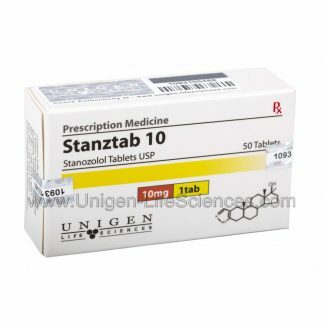 Those who are more interested in strength and less in body mass can combine anabol with either Oxandrolone or Winstrol tablets. 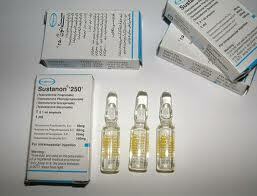 The additional intake of an injectable steroid does, however, clearly show the best results. 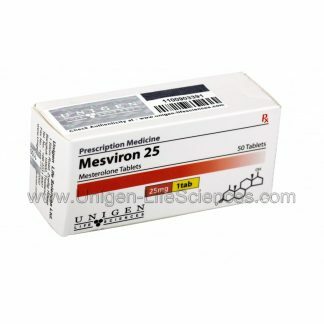 To build up mass and strength, Sustanon, Testosterone enanthate, Testosterone cypionate at 250-mg+/week and/ or Deca-Durabolin 200 at mg +/week are suitable. 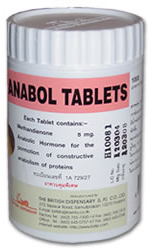 To prepare, for a competition, anabol has only limited use since it causes distinct water retention in many athletes and due to its high conversion rate into estrogen it complicates the athlete’s fat breakdown. 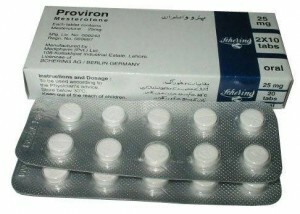 Those of you without this problem or who are able to control it by taking Nolvadex or Proviron, in this phase should use Dianabol together with the proven Parabolan, Winstrol Depot, Masteron, Oxandrolone, etc.